We look at the major tasks facing the members of the new minority government. JUST when it seemed like it had all finally come together Kevin 'Boxer' Moran vanished. Seventy days later.... and Enda Kenny has finally been voted in as Taoiseach with 59 votes. Enda Kenny has become the first Fine Gael leader to be elected Taoiseach for a second consecutive time. Low and middle-income workers are set to see a reduction in the Universal Social Charge (USC) in the minority government deal reached between Fine Gael and Fianna Fáil. The country's pillar banks will come under increased pressure to slash variable rates, according to the new document agreed between Fine Gael and Fianna Fáil. Independent TDs are set to demand a new expansion to mobile operators' 4G mobile broadband coverage in rural areas. Hundreds of thousands of families who already pay for water in group schemes will see funding restored to pre-2015 levels as part of the deal between Fianna Fáil and Fine Gael. Fine Gael has agreed to increase garda numbers to 15,000 in what will be seen as one of the most significant elements of the deal struck with Fianna Fáil. As Micheál Martin marched onto the Leinster House plinth last night with a small bunch of TDs in tow, he didn't have the look of a man who had just emerged from a four-hour meeting. The deal between Fine Gael and Fianna Fáil sets out plans to cut the USC, hike the old age pension, increase the number of gardaí and provide extra funding for group water schemes. Independent TDs have warned Fine Gael "there is no deadline" to conclude a deal on government formation this week. One of the country's wealthiest businessmen has been funding the Social Democrats, the Sunday Independent can reveal. The new Seanad is set to be one of the most colourful and diverse in the history of the Oireachtas. 1 Without a strong economy all social progress will be hampered. The outlook is good with almost 5pc growth predicted for 2016. A historic deal between Fine Gael and Fianna Fáil has cleared the way for Enda Kenny to be re-elected Taoiseach. Construction of the National Broadband Plan is to be delayed by six months, with work starting no earlier than the middle of 2017, according to the outgoing Minister of Communications, Alex White. A deal has been agreed between Fine Gael and Fianna Fáil on the formation of a minority government "in the first initiative of its kind". Rural broadband is "far more significant than rural electrification" was in the 1940s, a TD involved in government talks has said. Independents will hold the balance of power in the new Seanad. Enda Kenny's bid to be re-elected Taoiseach next week suffered a setback after Fine Gael and Fianna Fáil clashed over the legislation underpinning the suspension of water charges. 61 days since the General Election - so what will happen next? It’s been 61 days since the results of the General Election became known, so what next? Almost twice as much money will be available in the next Budget for tax cuts and spending increases compared to what was predicted just a few months ago. Fine Gael hope to win the support of more than 10 Independent TDs to bring extra political and moral credibility to Enda Kenny's emerging minority coalition. Fine Gael suffered a significant blow in the Seanad elections with several of its sitting senators losing their seats. Householders who did not pay water charges are unlikely to be pursued, while those that did stump up the money are set to be denied a refund. Water charges are to be scrapped for the foreseeable future after Fine Gael and Fianna Fáil edged towards a deal that will see Enda Kenny elected as Taoiseach. Michael Noonan admits Fine Gael and Fianna Fail may not settle a deal to facilitate a new Government, increasing the chance of another election. The Governnment is not opposing plans for a €150m incinerator in Cork. 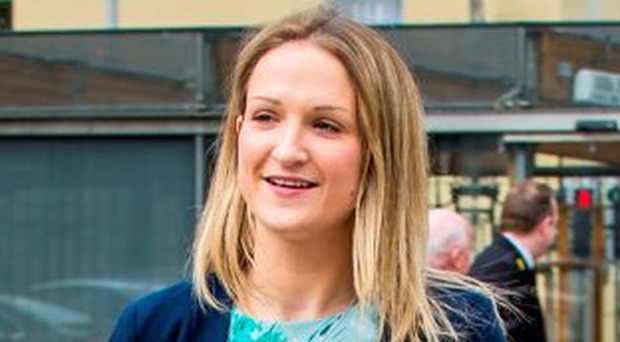 Sinn Féin has secured the election of its first openly gay member of the Oireachtas. Acting Taoiseach Enda Kenny is fighting fire from all sides after his own TDs were left fuming by his offer to suspend water charges - and Fianna Fáil rejected the proposal outright. FIANNA Fail has dismissed Sinn Fein's offer of talks over the possible formation of a Government as "insincere." Government talks: What five things can 'the people' expect to happen this week? Government talks are continuing 59 days after the General Election and fatigue is setting in. So what can 'the people' expect to happen this week? Sinn Féin leader Gerry Adams has said his party would be willing to enter into government talks - despite repeatedly ruling out the prospect of doing so since the General Election result. A second election is "inevitable" as there is "no way" a minority government will get through the next 12 months, Michael O'Leary has claimed. Social Democrats co-founder Catherine Murphy has been forced into an embarrassing climbdown after admitting her party did discuss forming a rainbow coalition with the Labour Party and Green Party. Sinn Fein leader Gerry Adams hit out at Fine Gael, Fianna Fail and Independent TDs in his speech to his party's ard fheis last night - but targeted most of his ire at Fianna Fail leader Micheal Martin. Independent Michael Healy-Rae has said the next Dáil vote for Taoiseach must be decisive as TDs expressed frustration at the pace of talks between Fine Gael and Fianna Fáil.